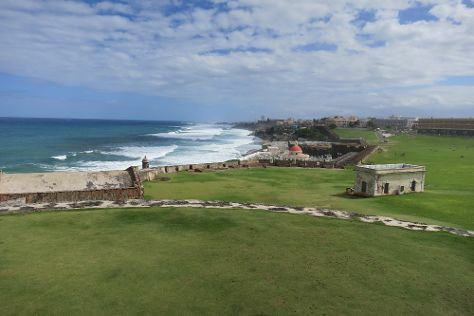 Visit San Juan National Historic Site and Old San Juan for their historical value. For shopping fun, head to Puerto Rican Arts & Crafts or Ole Curiosidades. Get out of town with these interesting San Juan side-trips: El Yunque National Forest (The El Yunque Rain Forest & Luquillo Beach) and Caribbean Trading Company Store (in Palmer). To find maps, reviews, traveler tips, and other tourist information, read San Juan trip itinerary maker. If you are flying in from United States, the closest major airport is Luis Munoz Marin International Airport. In January, daily temperatures in San Juan can reach 84°F, while at night they dip to 73°F. Finish up your sightseeing early on the 10th (Tue) so you can travel back home.